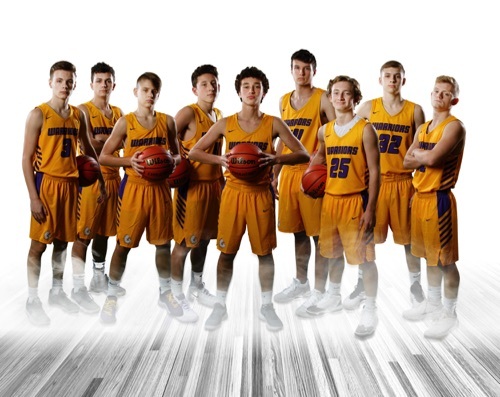 The 2018-19 edition of Scottsburg High School boys basketball wrote its final chapter on Sunday (April 7) at the Mid-America Science Park. Family, friends and those close to the program gathered for an evening of fun, food and fellowship to honor the Warriors campaign. The evenings festivities were hosted by head coach Brent Jameson (who just completed his third season) and his coaching staff: Kevin Owens, Dustin Marshall, and Jacob Dunn. The banquet featured awards, video tributes, and remembrances of the recently completed season. The emotional event said thanks and goodbye to seniors Mitchell Prince, Patrick Lincoln, Jimmy Neace and manager Destiny Self who have meant so much to the program. The Warriors 15-9 record was the 3rd most improved mark for regular season wins out of 400 high school teams in Indiana. It was the most regular season wins in 14 seasons at Scottsburg since the 2004-05 campaign. The squad won the Scott County Invitational and went from 10th place to 3rd place in the Mid-Southern Conference, its best finish since 2006. Statistically speaking the Warriors points allowed average of 54.7 per game was the lowest in 36 seasons (1982-83) and is the first team in school history to give up less than 55 points per game while scoring over 60 points (62.7) per game. Scottsburg's scoring average was the highest in 12 years since the 2006-07 campaign. Patrick Lincoln earned Honorable Mention Academic All-State, while Hayden Cutter was First Team All MSC, and Treyton Owens was Honorable Mention. Mitchell Prince, with nine (9) made 3-point field goals vs Salem in Sectional play, March 2, 2017. Prince was second all-time in Warrior school history with 187 made 3's from 2015-2019. Treyton Owens established the freshman scoring record of 287 points during the 2017-18 season and broke the freshman single game scoring record with 25 points versus Clarksville on Jan. 18, 2018. Hayden Cutter set a new freshman scoring record of 357 points this season and tied Owens' single game freshman scoring mark of 25 points in a Jan. 11 game against Salem. 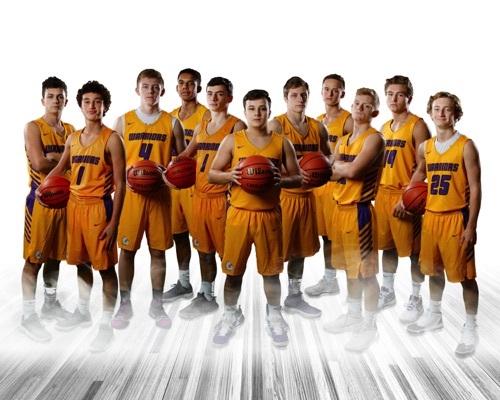 With eight returning varsity letter winners expected back and an experienced junior varsity group moving up, the future is indeed bright for Scottsburg Warrior basketball in 2019-20.